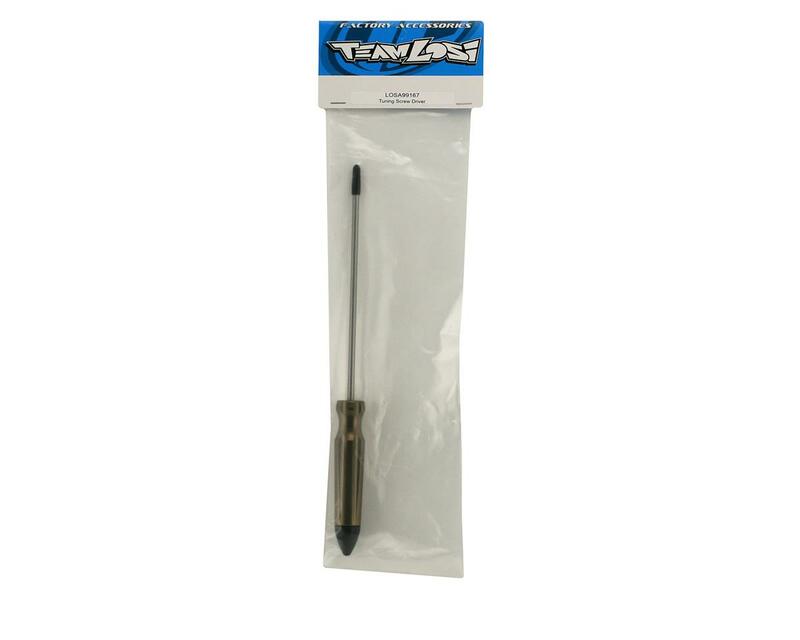 The Tuning Screwdriver from Losi is the perfect tool for the nitro enthusiast or racer. Specially designed to meet the needs of nitro vehicles and engines, but more importantly those who use them. The extra long blade allows easy access to even the most remote areas of 1/10, 1/8 and all types of monster vehicles. The ergonomically designed handle offers unmatched comfort and control. A special high-temperature tapered silicone rubber “stopper” tip on the handle is used to plug the hot exhaust pipe to kill the engine when done running. No more burned fingers or messy marks to deal with. No more need to burn finger tips or grind something into the flywheel to kill the engine. This is an awsome tuning screw driver. One thing, Glue the exaust plug! I was racing this weekend and when I got home I noticed the plug was missing. After searching for a day and trying to come up with something to tell Horizon so they would send me another I found it in my truck. Take a min and glue that plug in to be safe. this is awesome...even comes with an exhaust plug. 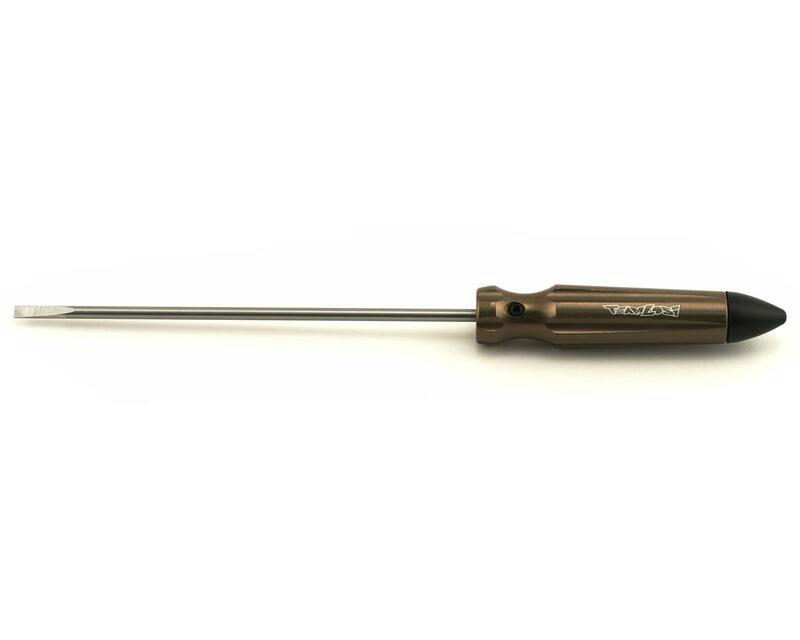 This is the best tuning screw , it's simple you won't have any problem to reach the carb needle.